The best scene in the movie by far. Mmm-mmmm. That is a tasty burger. 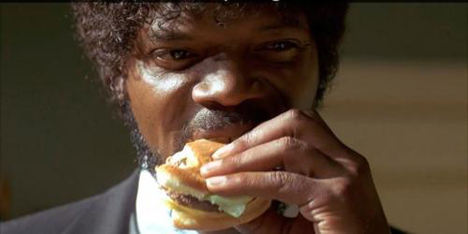 Vincent, ever have a Big Kahuna Burger….man Jules was amazing in this movie…every time i watch this movie i end up admiring him only!! Jules was definitely the most memorable character by far.